Ireland – or the Emerald Isle – has inspired authors and poets from CS Lewis to Yeats and its dramatic and beautiful landscapes have provided scenery for the Star Wars and Harry Potter films. 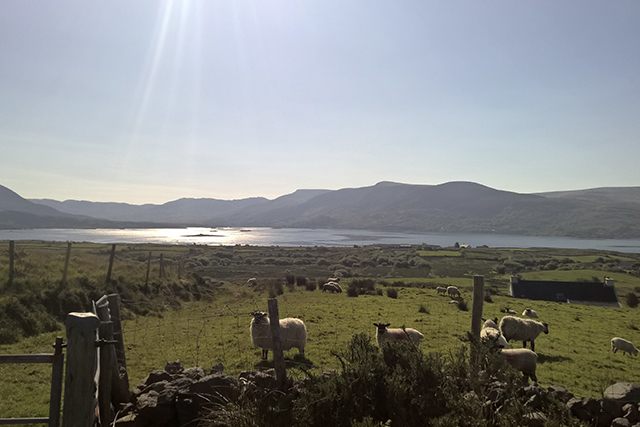 Let’s take a look at some of the images you can expect to see whilst on our Mystical Walking on the Kerry Way trip, taken by Calvin Yates in our Product team, who visited in May. 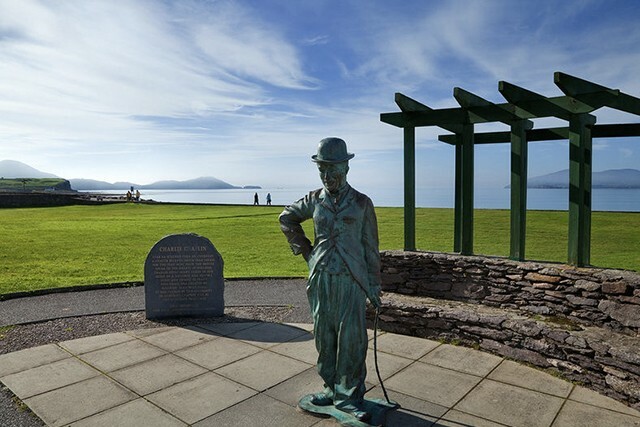 Caherdaniel to Waterville: On Day 5 you’ll follow the old butter road back into Waterville, passing the statue of Charlie Chaplin who loved to fish here – although his face doesn’t show it! Kenmare Bay: On Day 2 you’ll cross Windy Gap and enjoy wonderful views of Kenmare Bay, and on Day 3 you’ll walk along a beautiful coastal trail along the bay. 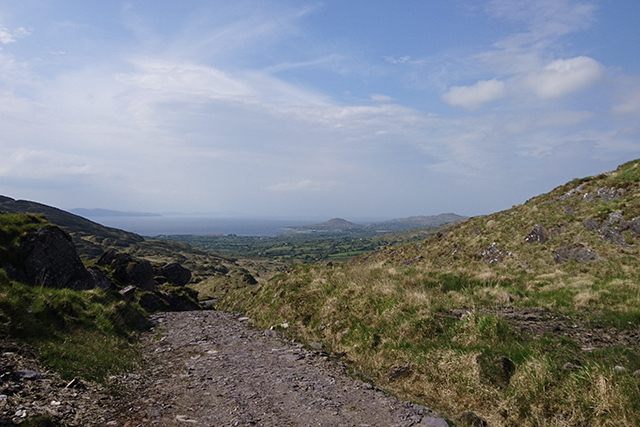 Waterville to Caherciveen: Day 6’s walk climb to a lovely plateau gives 360-degree views over the coast and inland. 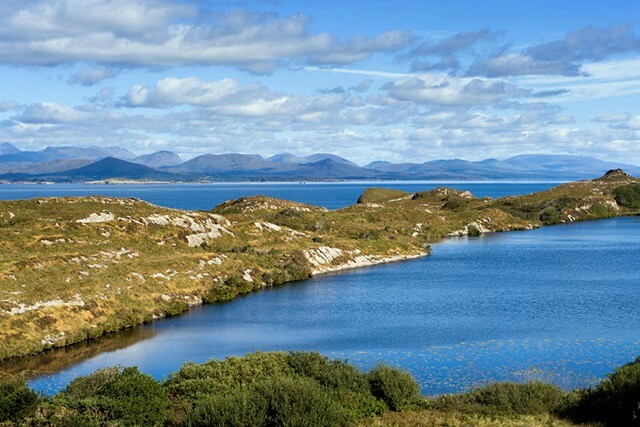 Sneem to Caherdaniel: On Day 4, after passing through farms and fields of sheep, the landscapes become more rugged as you climb to enjoy stunning views down to the Wild Atlantic coast. 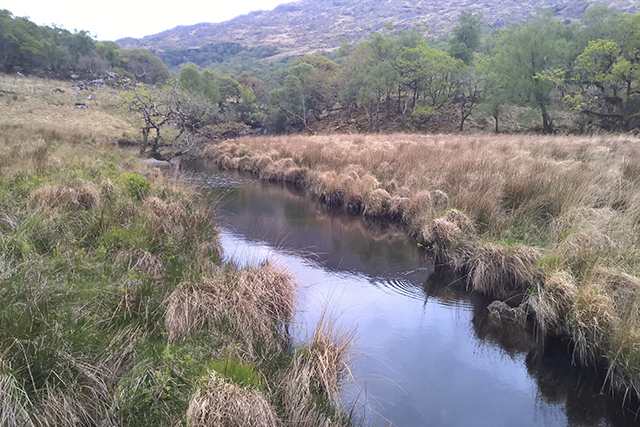 Killarney to Kenmare: Cutting through the mountains on Day 2 you’ll pass pretty streams – look out for red deer that sometimes stray to lower reaches. Kenmare to Sneem: Day 3 takes you across Blackwater Bridge before a climb to a low plateau with superb views, passing fields of sheep (and some that stray onto walking paths!). 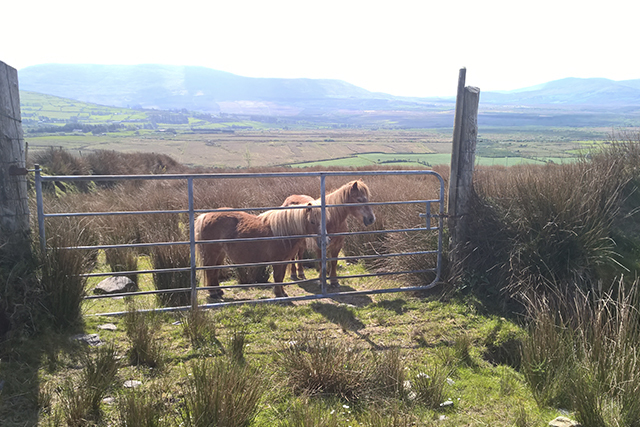 Caherciveen to Glenbeigh: After passing Windy Gap on Day 7, you’ll admire spectacular views of the Dingle Peninsula and Rossbeigh Strand and then follow country lanes – Calvin made some friends en route, they weren’t very chatty though! Now feeling inspired to explore the Kerry Way? 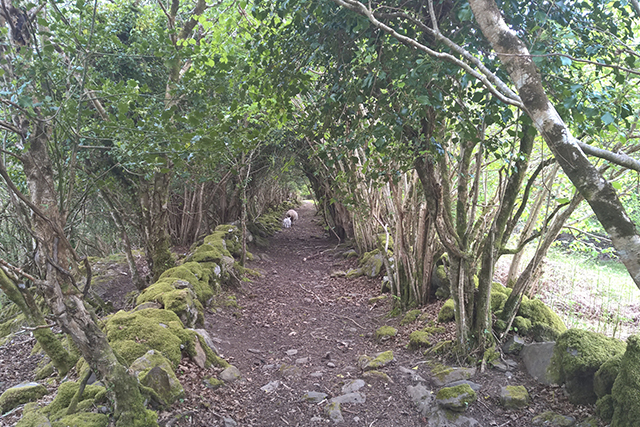 Take a look at our 7-night Mystical Walking on the Kerry Way trip or our 4-night Short Break version.